When we think of asbestos and asbestos-related illness, we primarily think of mesothelioma and asbestosis. However, asbestos exposure has been linked to other forms of cancer and respiratory illness besides mesothelioma. Many of these medical conditions are often deadly too. According to a recent article from Outbreak News Today, asbestos exposure can also cause victims to develop lung cancer, bowel cancer, ovarian cancer and laryngeal cancer. While lung cancer is typically linked to smoking, credible research has proven long-term exposure to asbestos has been demonstrated to cause lung cancer. What may be more surprising is that, worldwide, more cases of lung cancer resulting in fatalities are linked to asbestos exposure than cigarette smoking. However, as our Boston asbestos exposure attorneys can explain, there are additional difficulties in proving asbestos caused lung cancer when plaintiff was also a long-term smoker. In these cases, defendants will typically argue cigarette smoking, and not asbestos exposure caused the cancer. They will often argue that, even if their asbestos products did in some way contribute to plaintiff’s development of lung cancer, there is no way to determine it is a major contributing cause, as there is no way to separate the two competing causes for a jury to make a determination of liability. This does not mean you will not be able to succeed on your claim, but it does mean you should make sure your attorney is familiar with this issue and has experience representing asbestos exposure victims who were also heavy smokers. Ovarian cancer can also be caused by asbestos exposure. Researchers say, when asbestos fibers are inhaled, they can make their way into a woman’s reproductive organs, where they can metastasize into ovarian cancer. 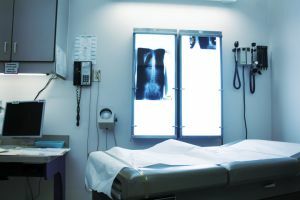 This link is not as concrete as with other forms of cancer, but evidence does seem to suggest many cases of ovarian cancer are caused by asbestos exposure. Due to the time it takes for the toxic fibers to cause asbestos-related ovarian cancer, victims of this disease are often much older than patients who developed ovarian cancers due to non-asbestos related factors. Bowel cancer is a painful illness that is one of the leading types of cancer found in patients. Again, while there is no definitive link between asbestos exposure and bowel cancer, doctors and scientists believe, with further studies, such a definitive conclusion will be proven. Finally, there have also been cases of laryngeal cancer believed to be a result of asbestos exposure over a long period of time. The larynx is located directly below the path of the body’s airway. When asbestos in inhaled, deadly asbestos fibers can be logged in a victim’s larynx. Fibers can also become lodged in a victim’s larynx after the fibers become trapped in mucous, and victim tries to cough up mucous. As in the case of lung cancer, there may be other contributing causes to the development of laryngeal cancer, so you should make sure your attorney has experience dealing with this issue, as that will greatly increase your chances of a successful outcome.